This guest post was provided by Penelope Miller. Technology has developed by leaps and bounds as mankind has progressed and with the advent of technology, the luxuries of yester years have become necessities of the present and the future. The invention of wheel has been one of the most revolutionary inventions in the history of transportation. This further led to the invention of cars which has made comfortable transportation a reality. We all have blind spots and this becomes even more so when you handle a vehicle. Drivers are taught to glance in the rear view mirrors and side mirrors before changing lanes as they have no visibility about what is behind. A blind spot alert system is a drivers’ assistance technology which assists users by sensing cars which are in the drivers’ blind spot. What the user might probably miss in a glance is picked up by this system. If your turn signal is on and the system notices a car behind you or ahead of you, it raises a warning by first flashing a light on the side view mirror and then by beeping or vibrating the steering wheel. However, if the turn signal is not on, there will only be a steady glow, no flashing light or beeping. Under inflation of tire creates a very unsafe driving condition and tire pressure monitoring system is used to identify and warn if any one or more than one tires are under inflated. There are two types of TPMS: Indirect and Direct. Indirect TPMS depends on the wheel speed sensor which is used by the anti-braking system. The sensors measure the rate of revolution which is then used to compare electronically with other vehicles’ data; and based on these data, the car type is predicted and hence, whether the pressure is accurate or not adjudged. A tire with low pressure will spin at higher than expected speed. Direct TPMS uses the pressure readings from within the tire as well as the tire temperature readings. The TPMS is known to deliver accurate results but it is advisable to use it as an assistant to air manual checks and not over and above it. 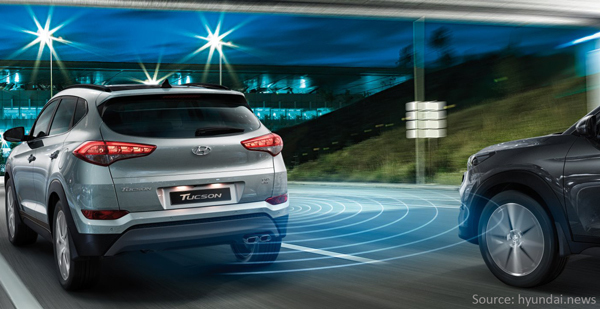 Today, roadway navigation has become far simpler thanks to GPS technology. By simply using maps on your smart-phone, you can see which route is blocked and which route will be the fastest for you to reach your destination. 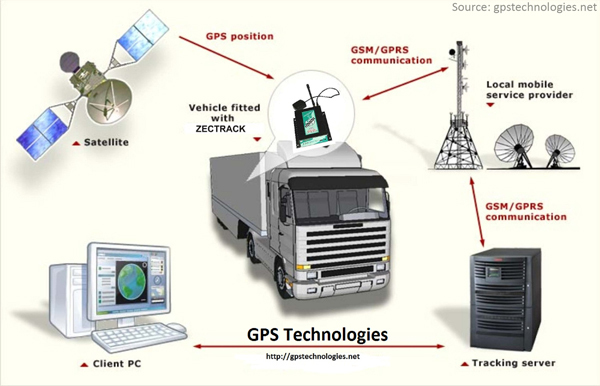 The GPS tracking system uses the Global Navigation Satellite System (GSSN) network which incorporates microwave signals from a range of satellites which is then further sent to devices that have a GPS so as to understand vehicle speed, time and direction. Thus, GPS provides real time data for the journey, something a person could not have even thought of a few years back. If you rent cars these days, they allow you to track the vehicle right from where they were at the time you booked it till the time you get a drop. Thus, GPS system has become a very famous technology because of the ease of usage and importance of information that it generates. Supertooth’s Bluetooth buddy is a wireless speaker for car which allows you to access your phone in hands free mode. Thus, it allows you to make calls while driving, without actually removing your hands from the steering wheel. This kit can be connected via Bluetooth, and then it can re-connect automatically after it has been paired once. It allows a user to connect multiple phones and it can be clipped to the visor of your car, making it user friendly. A dash board Camera is a useful piece of technology as it allows you to record while you are driving. Although any device can be used as a dash cam, the fact that there is one specifically built for the same means that it will have some unique features. Firstly, you don’t have to adjust it every time you drive. Secondly, a dash cam is not heavy maintenance, and you can delete every day recordings as you need these recordings only in cases of accidents for insurance purposes. 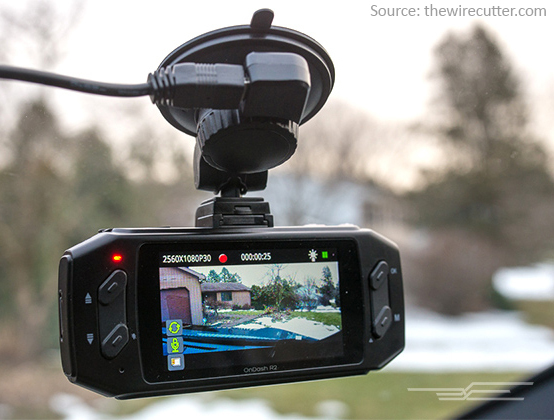 Thus, dash cams are built to be non-fancy and easy to use for regular purpose. In addition, you don’t have to use high end camera on your car’s dash board since there are chances it may fall off while driving. These are gadgets that have made travelling super easy and extremely fun but apart from these, there are other benefits that the technology sector has brought for cars. For instance, to be able to rent a car online via Uber or OLA or to be able to call for mobile tire fixing on heavy discounts via Kwik fit vouchers are some of the unsaid benefits that technology sector has brought to the common man.